Disclosure: This post is sponsorerd by Duraflame. 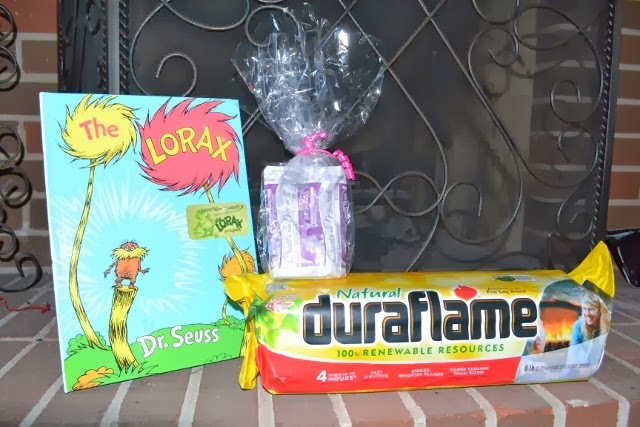 I received a Duraflame gift pack, including a copy of the The Lorax, to facilitate this post. Although Duraflame and Dr. Seuss seem like the don't have anything in common, they really do. Ever read the Lorax? If not, you really should. It is such a great story. The Lorax was in defense of trees. And so hence the connection between the Lorax and Duraflame. Duraflame is the maker of America's #1 Fire Log Duraflame Natural logs are made of 100% renewable resources. The are easy to light and catch quickly. The have a bigger, brighter flame, making them burn like a real log. They also burn cleaner than wood, releasing fewer pollutants in the air (for those who really care, they release 80% less fine particles , 75% less carbon monoxide and 90% less hazardous air pollutants). The logs are big--6 pounds and burn for 4 hours. And the best part? You save trees. Duraflame fire logs only use recycled wood and agricultural fivers. It uses 80% less material than a comparable 3-4 hour wood fire. Using a Duraflame log instead of wood means less trees cut down for firewood. So, are you getting the connection now between Duraflame and Dr. Seuss the Lorax? Why not snuggle up next to a cozy fire and read the Lorax with your children and not only teach them how to help the environment, but show them..
Save trees. Burn Duraflame Logs! Be sure to enter the Duraflame giveaway on Facebook. 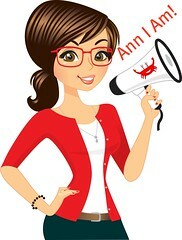 Click HERE to enter to win some fab prizes, including a 50"HD TV or a Kindle Fire!